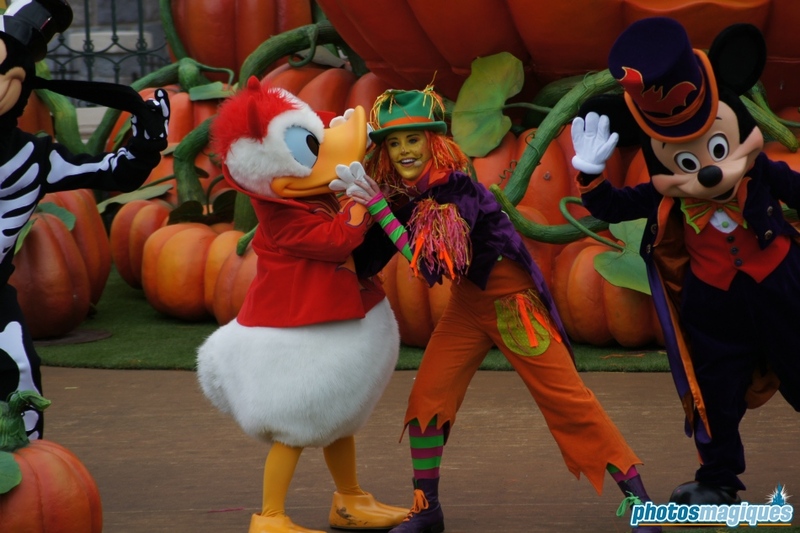 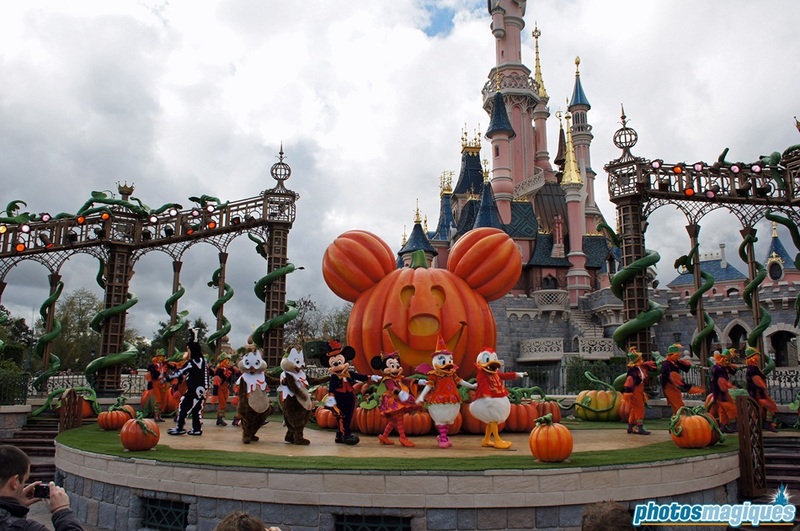 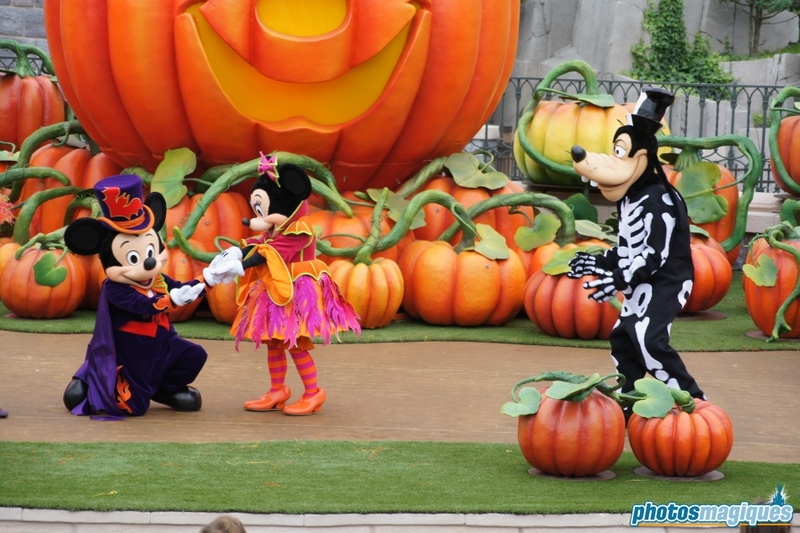 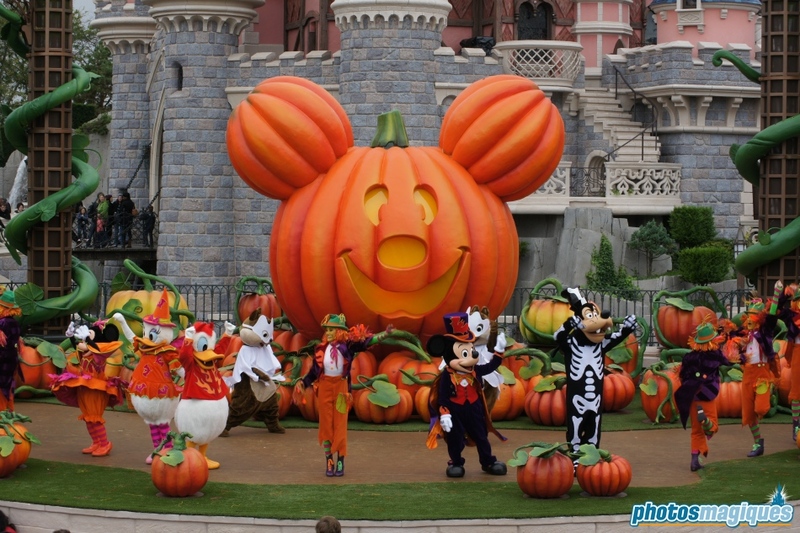 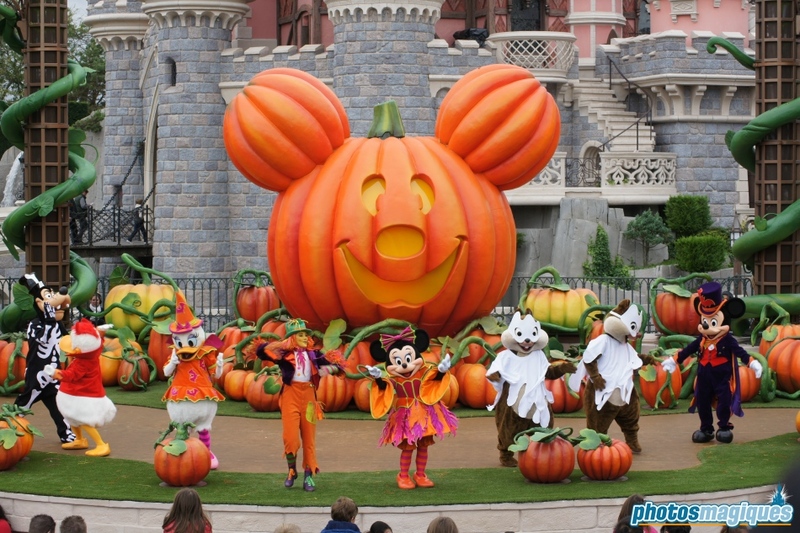 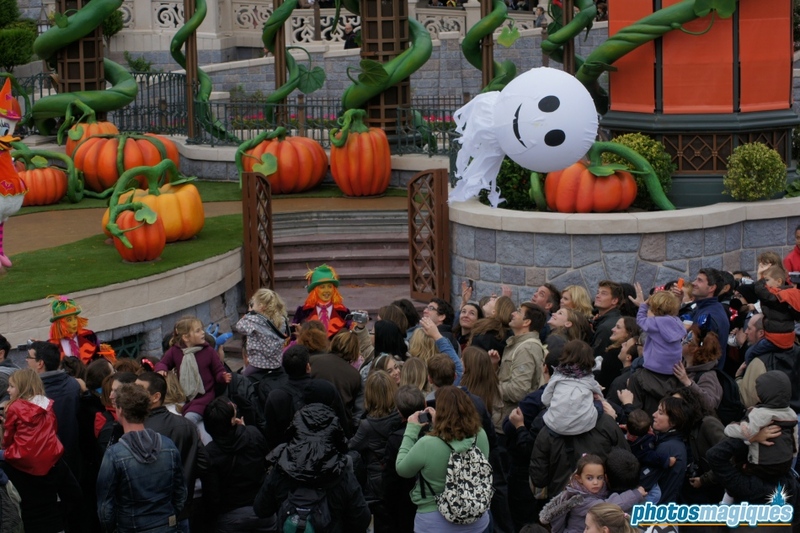 Mickey’s Halloween Treat in the Street was a show for the little ones on Royal Castle Stage. 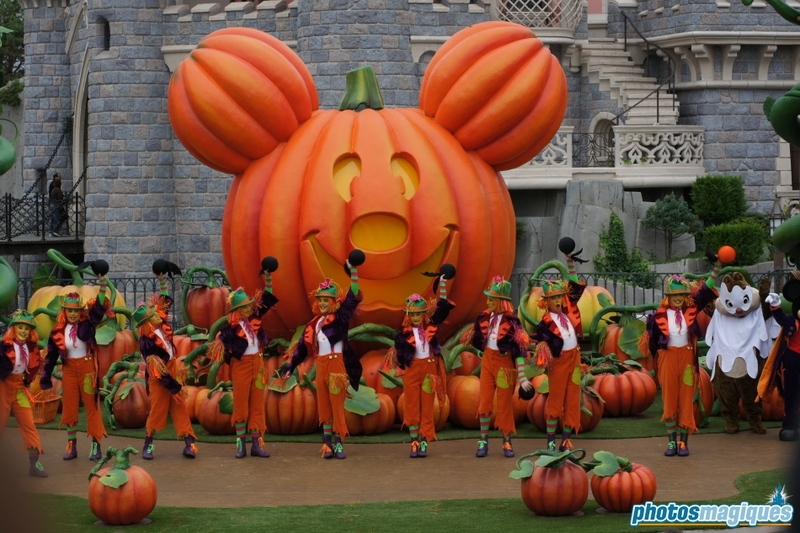 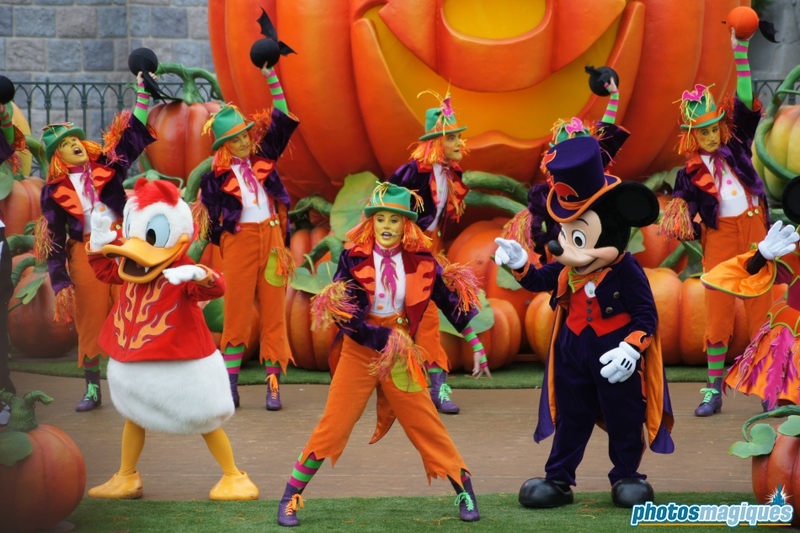 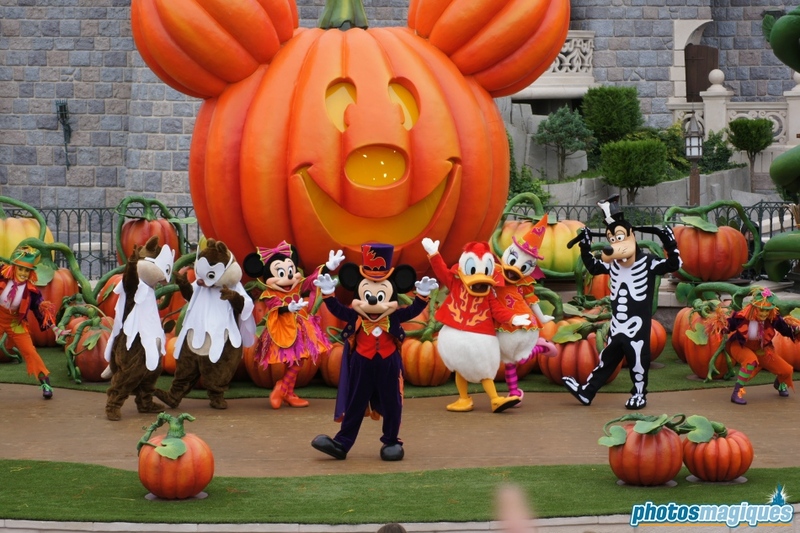 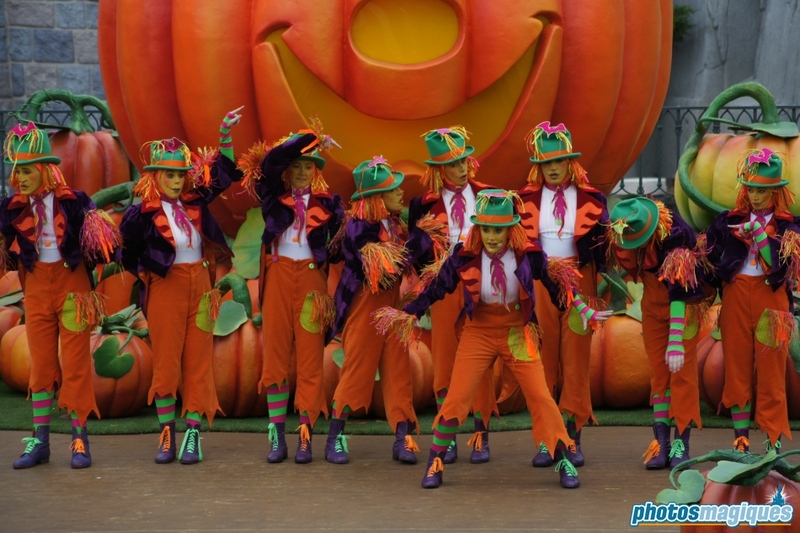 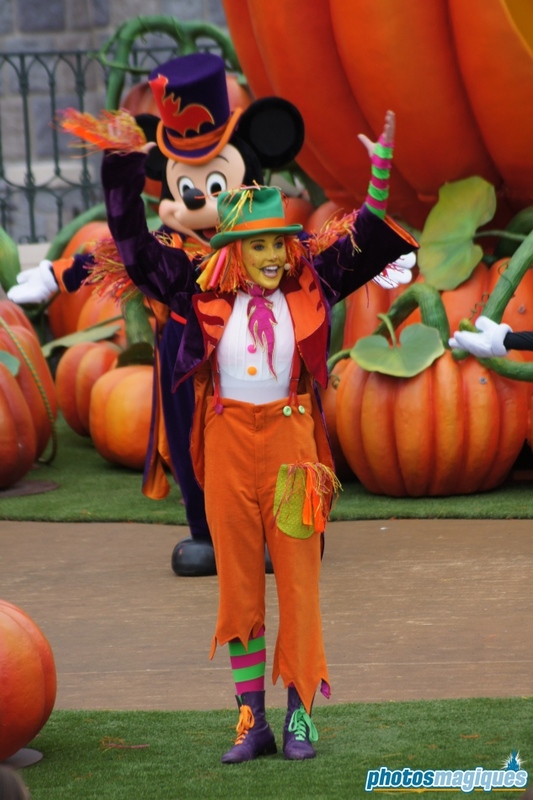 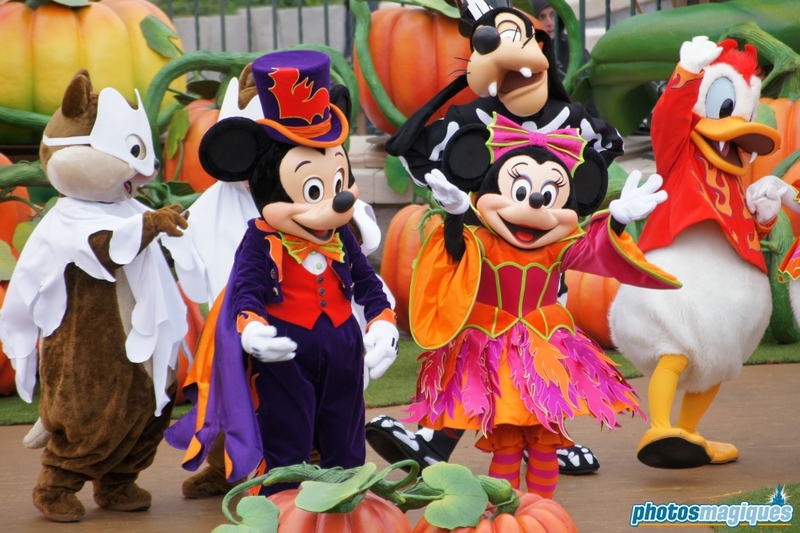 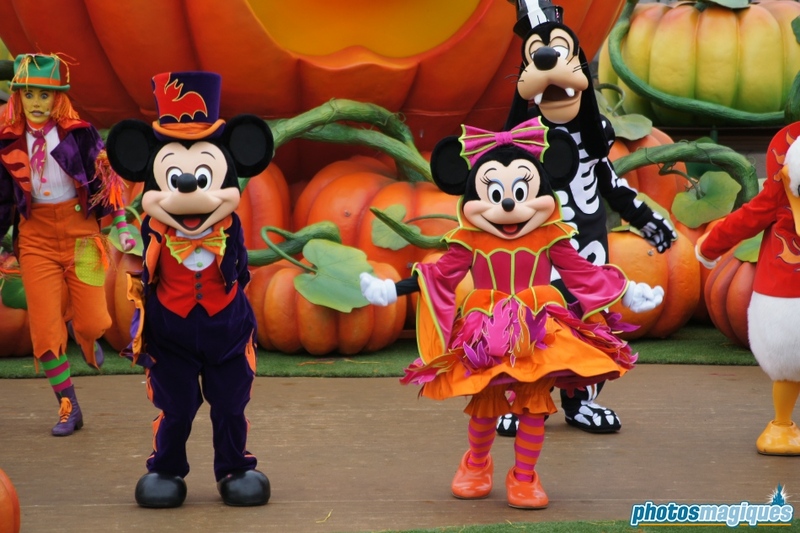 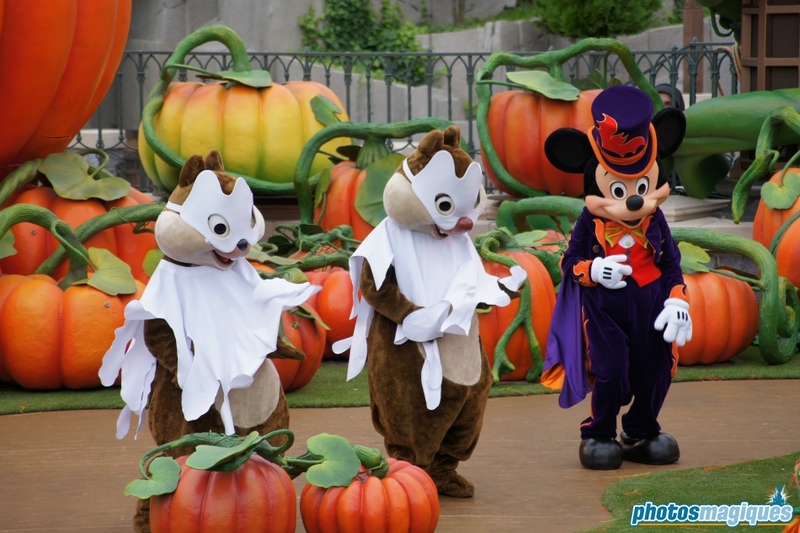 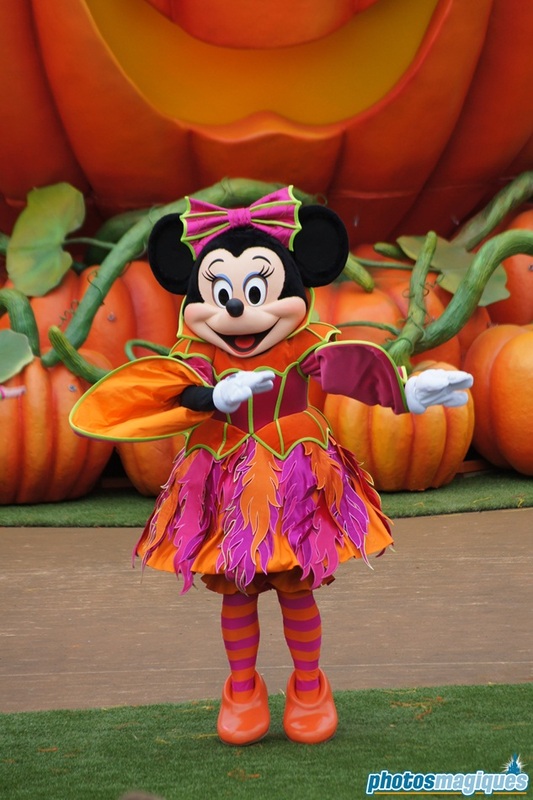 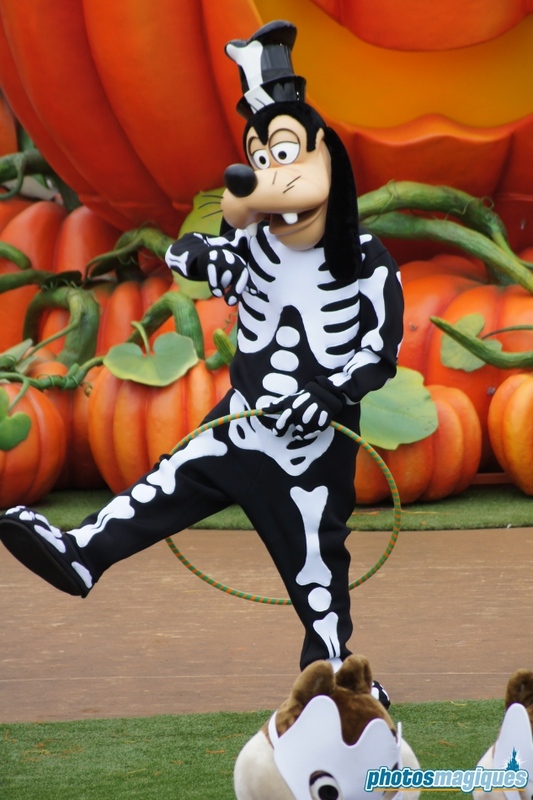 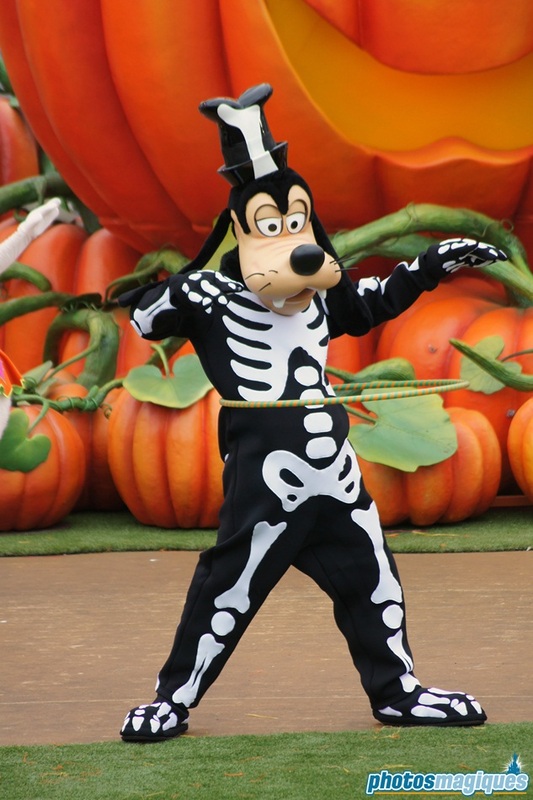 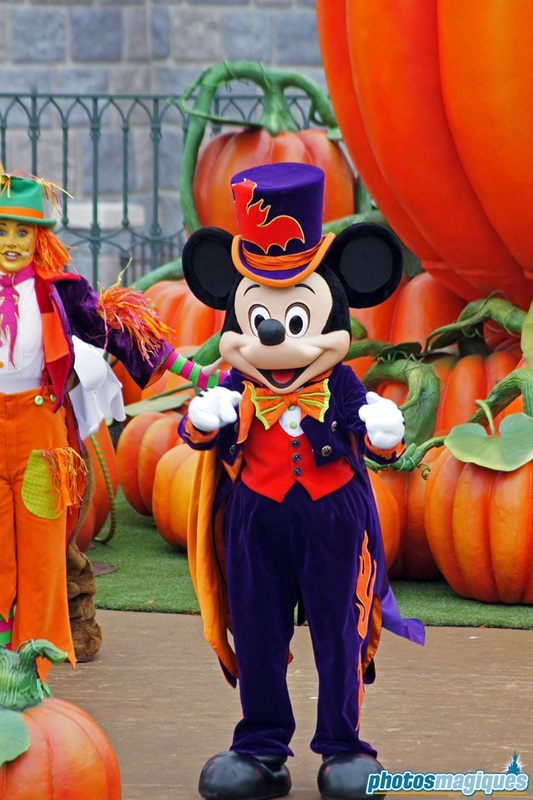 It featured a cast of scarecrow dancers and the VIP Disney characters; Mickey, Minnie, Donald, Goofy and Chip & Dale. 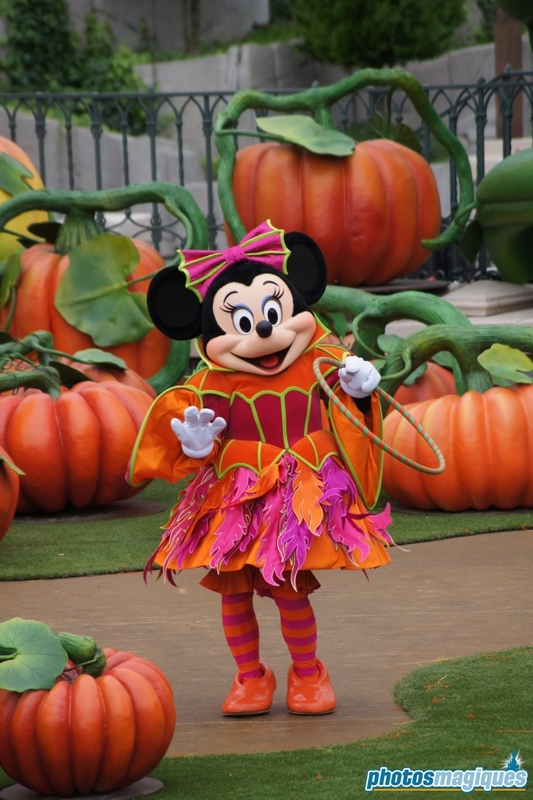 Children were asked to participate in several games like hula hooping and “Where is the bat”. 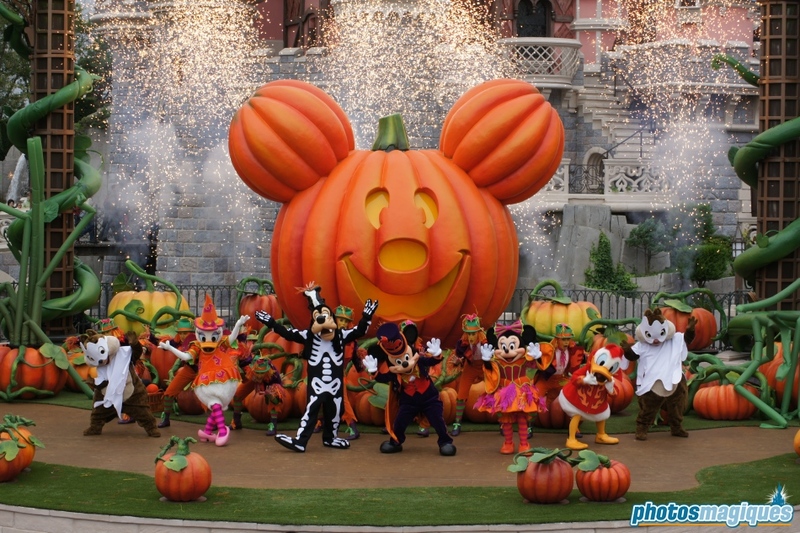 The show featured a soundtrack previously used in Disneyland California and featured several special effects on stage like pyrotechnics and inflatable pumpkin vines. 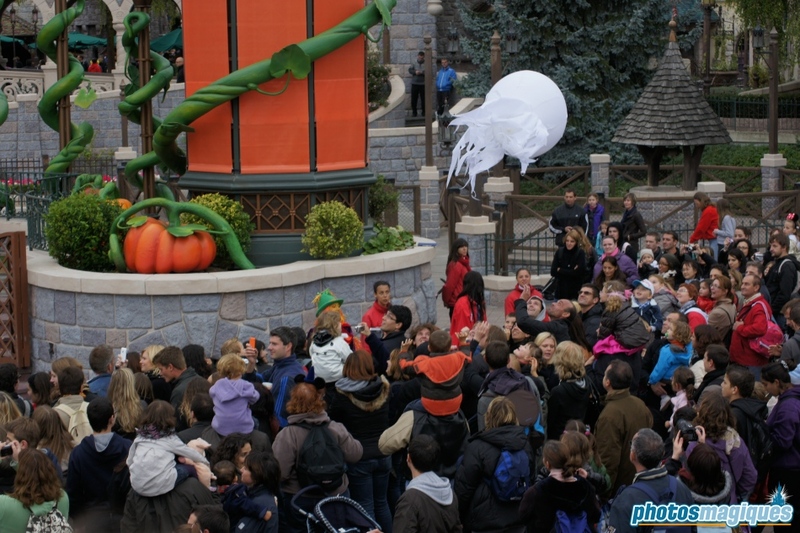 The platform above the directors booth offers a great view on the stage.